It took Joe six attempts to propose to me. We were leaving for a three month road trip around Europe. Perfect time to propose. As a surprise, in case I may have guessed he’d do it overseas, he actually planned to do it before we left. He arranged for us to go skydiving in Perth and had organised for them to spread out a huge banner on the ground saying, “will you marry me?” Unfortunately it rained and the jump got cancelled… Two days in a row. So off we went to Europe. One of our first stops was to Coral Beach on the Isle of Sky in Scotland. On a sunny day, the beach lights up with bright pink water. Unfortunately it was cold and overcast so he held the ring for a later date. We ended up in Nice and went scuba diving. 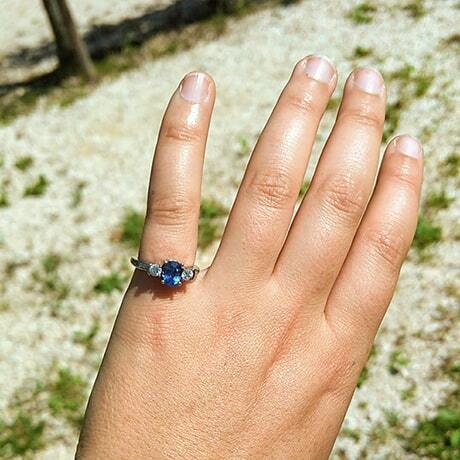 He asked the dive instructor if he could use a slate tablet to propose to me under water. The instructor said no it was too busy to bother with that and wouldn’t give him one. It was a private dive with just the two of us. For the fifth attempt, we made it to Venice after having many car troubles. 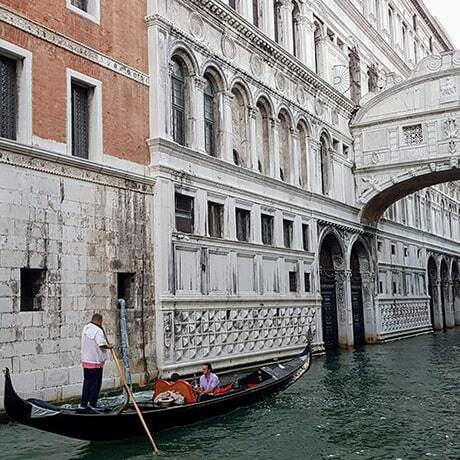 We spent the day walking around the little alleyways and I’d mentioned how I’d like to go on a gondola. While we were in a bar he organised to go on a gondola that evening, but as we left the bar, the beautiful day turned stormy and it started raining heavily. We rushed back to our campsite. The sixth attempt, after another day in Venice, we went back to the same lovely bar. He told me to wait for a while whilst he got me a surprise. He left for 15 minutes and came back with a single rose. He then asked me to follow him outside. He walked to a gondola and told me to get in. 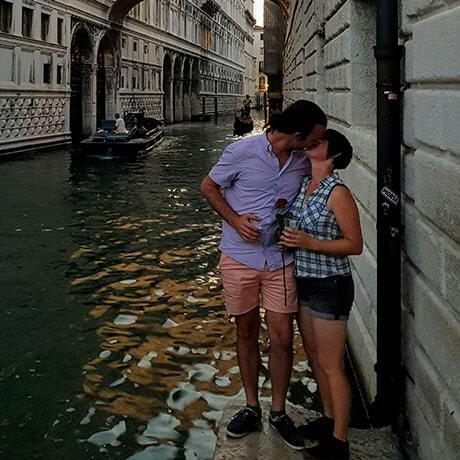 During the 15 minutes he was gone, he’d found a gondolier and explained that he wanted to propose to me under the ‘Bridge of Sighs’ at the end of the gondola trip. He had also found a couple who were sitting near the bridge to take photos of us when we came under it in about 30 minutes. So in we jumped. Unfortunately, the gondolier he spoke to had left with another group so this one didn’t know the plan. Instead of going under the bridge at the end, we went straight there, five minutes into the trip. So before I knew what was happening, and before he could lead into it, he was on his knee asking me to marry him. The couple taking the photos were quite unprepared and we were facing the wrong direction, but they managed to get a couple of photos. Of course I said, ”yes”, and he put the ring on my pinkie finger. The jeweller made it five sizes too small. Joe had even known my ring size! As we laughed at that he pulled out a chilled bottle of Prosecco which he had bought from the bar we were in earlier, and we then enjoyed the rest of the gondola ride during the Venitian sunset.